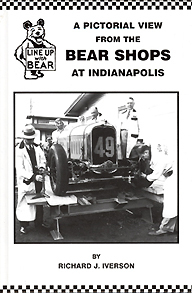 A look back at the race cars being aligned at the Bear Shops at Indy. Author Richard J. Iverson was the shop chief and on the Technical Committee of USAC. Many photos never published before. Relive the memories of yesteryear with this book.